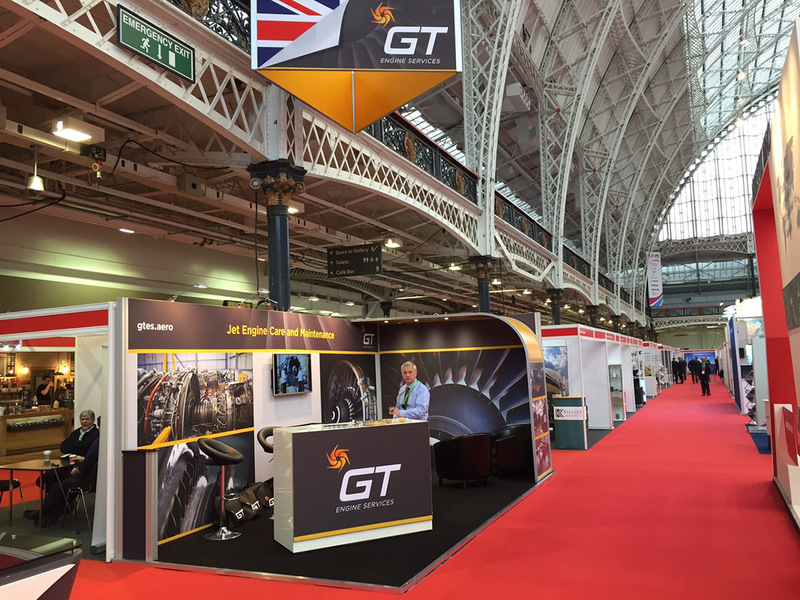 Our latest exhibition stand design was for client GT Engine Services, a specialist jet engine repair and maintenance business who also came to GQ for their branding and, more recently, their new website which is in development. 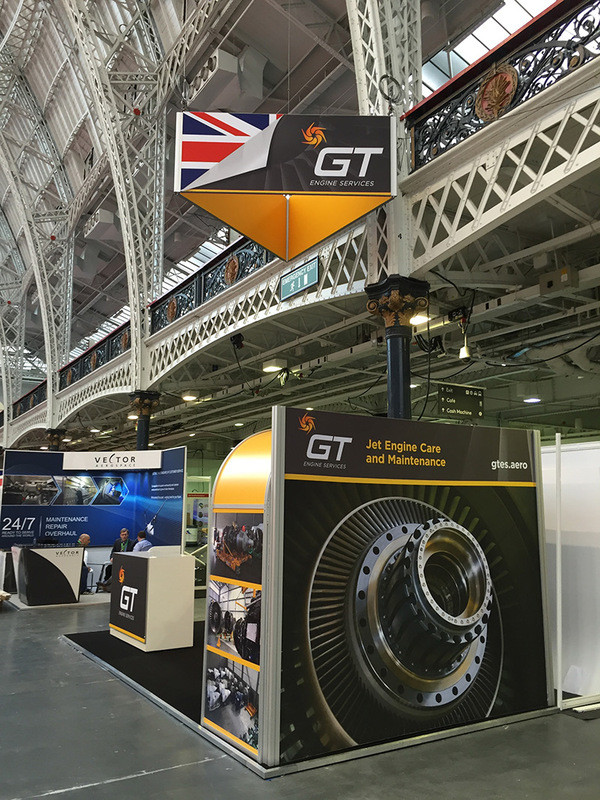 For the compact stand at London’s Olympia, it was important we made the most of the space whilst keeping graphics clean, impactful and uncluttered. 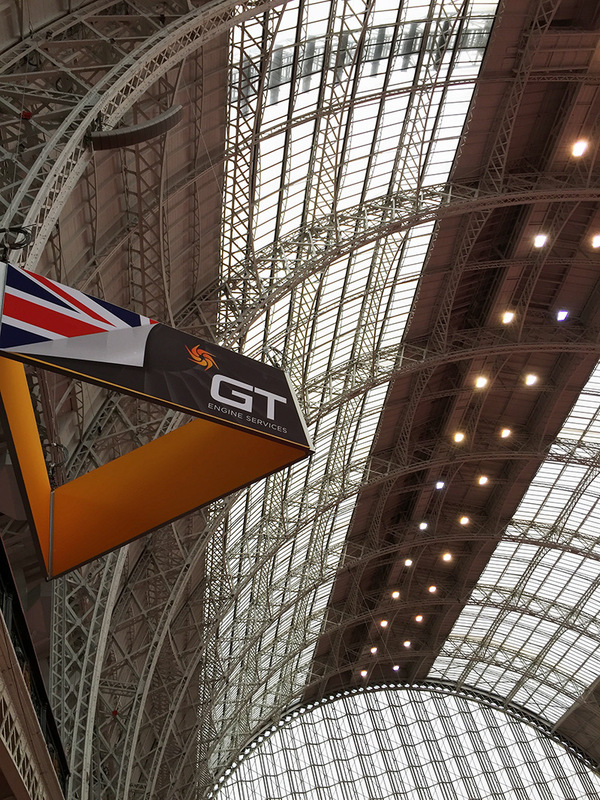 Large glossy images and a sleek grey background reflected the feel of the brand, with a touch of bold British character thrown in. The launch of the new responsive website is imminent, so check in soon to see the stylish new design.